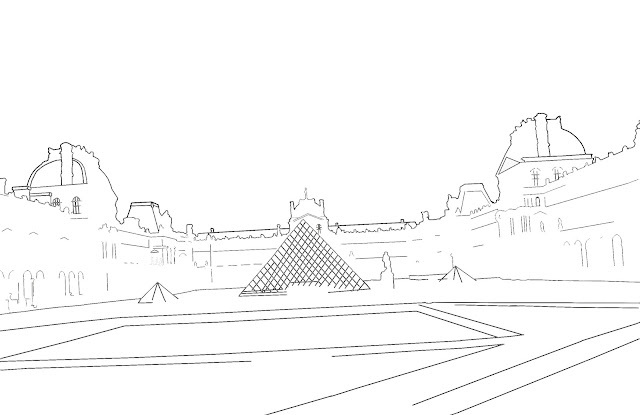 A silhouette of the exterior structure of the Louvre Museum in Paris, France. 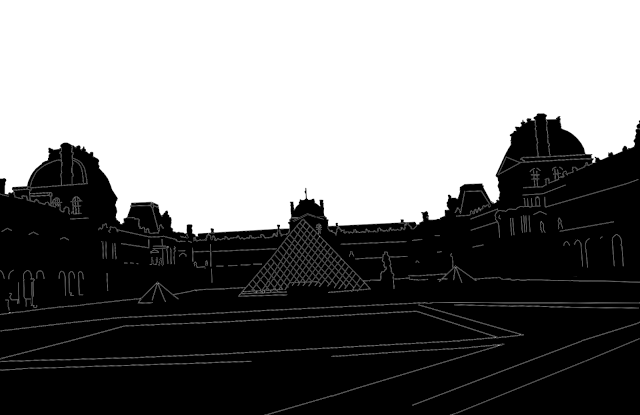 A fair amount of detail is visible in the silhouette. This is a simple black against white silhouette of the Louvre Museum. 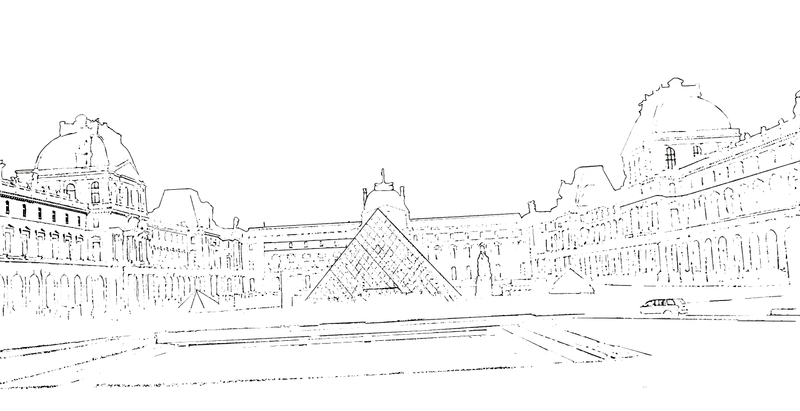 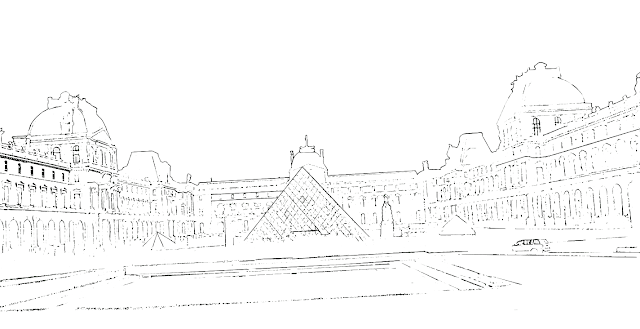 A simple line drawing or pencil sketch of the Louvre Museum in Paris. A sketch of the exterior of the Louvre museum with more detail but less clean.